Many of today’s mobile device management solutions focus on the security and data-protection side of the house, protecting corporate information from loss or theft. Many of today’s mobile device management solutions focus on the security and data-protection side of the house, protecting corporate information from loss or theft. (MSPmentor recently took a closer look at AirWatch and MobileIron and ) But there’s another side of MDM that could also represent a revenue opportunity for MSPs and it’s one where it’s easy to demonstrate ROI to customers. It’s called telecom expense management. And as more carriers move away from unlimited data plans, TEM could end up saving your customers a bundle. Tangoe (NASDAQ:TNGO), an MDM and telecom expense management provider, serves some of the largest companies in the world such as Price Waterhouse Coopers with its 60,000 devices around the world using over 40 telecom carriers for services. That’s a complicated task to manage, especially when it comes to telecom expenses. If someone roams internationally with their phone and downloads data, what do you do with the $30,000 charge? Dan Rudich, senior VP of rTEM (real-time telecom expense management) has plenty of customer war stories to share. For instance, there was the customer who had an end user who took a device to Israel. He couldn’t find anything to watch on TV so he downloaded first season of Seinfeld. 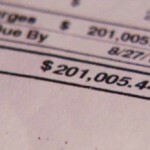 It was a costly mistake – a $175,000 bill for that month. Rudich notes that for that price the company could have flown in the cast of Seinfeld to reenact that first season personally. “With international roaming you can spend thousands of dollars in an hour,” Rudich told me. Rudich joined Tangoe when the company acquired his company, Anomalous Networks, earlier in 2012. Anomalous added the “real-time” to Tangoe’s telecom expense management service. “Finding out about that international roaming 45 days later when you get the bill is not that helpful. Our team created a real time expense management system, monitoring the device itself and comparing it to the carrier plan.” The system also monitors devices according to enterprise rules and it can alert both the end user and IT about any important event. It also offers a predictive element that can project things in the future. Using Tangoe’s rTEM system, customers can turn the device radio off when roaming starts, or force the user to acknowledge that they are roaming internationally and could be charged very high fees. Rudich says the ROI for the service typically comes in the first month. And it can come either in the form of smaller savings among all the users or in preventing that one guy from incurring a $20,000 charge in a month. Historically Tangoe has worked with very large enterprises, but the proliferation of mobile devices has changed the game, making the service a good fit even for small companies. It’s possible the company may ultimately offer a service for consumers as well. Tangoe’s Rudich is expecting even more demand for his company’s services as more new devices are released later this year. For instance, when Siri came out on iPad and iPhone, all of the sudden data consumption on those devices increased dramatically. That’s because Siri isn’t local, it’s in the cloud. And you are sending voice data, which is pretty significant, up and down, Rudich said. Also, when iMessage came out Rudich says Tangoe saw a dramatic reduction in text messaging. If you’ve had a heavy text message plan, you can change it to a lessor plan and save costs. “The sooner you find out about it the more money you save,” Rudich said.